We’ve had a fantastic start to the Spring term with more opportunities than ever before. Take a look at some of the exciting things coming up! At the beginning of January we held our very first YC Open Taster Day at TR2. 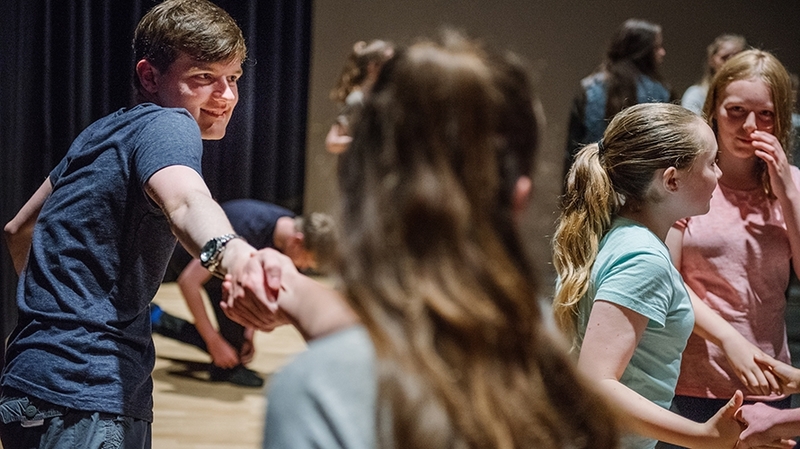 Throughout the day, we held taster workshops in Acting, Dance, Design and Playwriting for anyone aged 5 – 26. It was great to see some regular YC members as well as new faces. 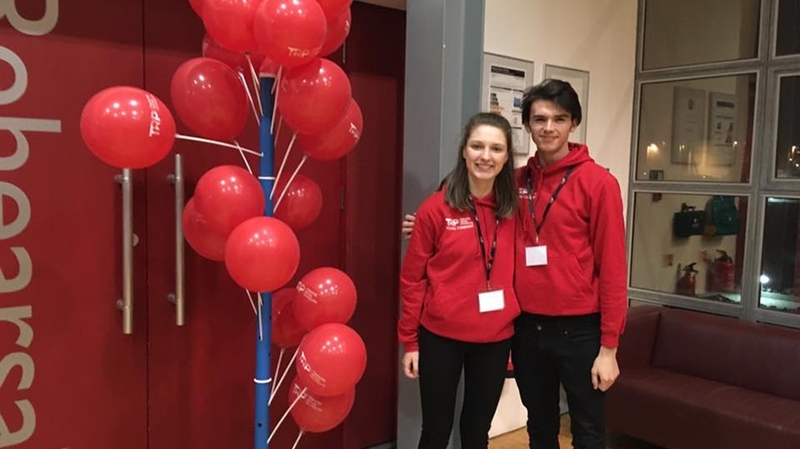 Over 150 young people came in total to find out about all the opportunities on offer with the Young Company. We will be holding another YC Open Taster Day in September, we’ll keep you posted with all the up to date information! If you would like to come along for a taster in any of these groups in the second half of term places are still available. Give Dani a call on 01752 230375 or email dani.golding@theatreroyal.com or to book call Box Office 01752 267222. There’s still time to take part this term. No experience is needed; you don’t even need to consider yourself good at writing or spelling! This group is all about techniques to get you on your way to writing plays. No experience is necessary! Click here for more information. 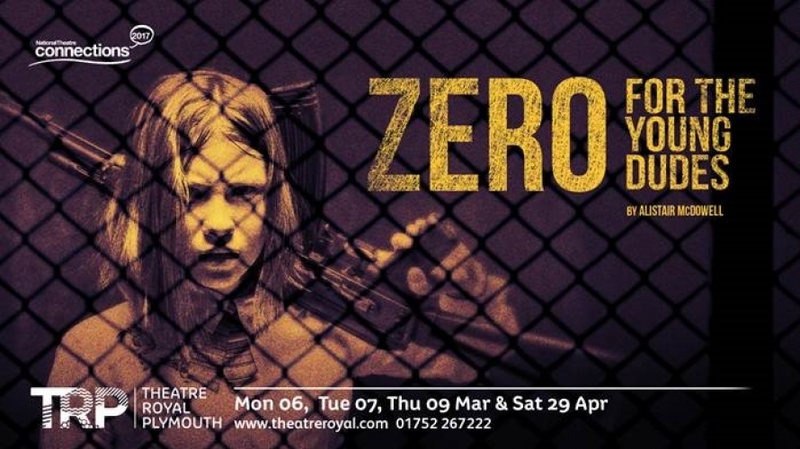 The Young Company are working hard in preparation for their tour of Zero For The Young Dudes to schools in Plymouth in March. The inmates at a bizarre summer camp are plotting a revolution. Or has it already happened? Spending a day watching their schedule of exercise, lessons and meals, a long history of unrest and injustice lies hidden, and as the day wears on, a violent future looms large on the horizon. Theatre trips- The Airborne Dance groups will be going to see Danza Contemporanea De Cuba later this term. No Man’s Land: Christmas 1914 – Make a Play in a Day took place on Sunday 5th February at TR2. Young Company and non-Young Company members came together for a whole day to help Peter Kyrke-Smith tell a truly unique story, set in No Man’s Land, WWI. The group did a terrific job combining script, movement and song! Easter workshops now on sale…. Monday 10th April – Thursday 13th April QUACK?! THE MUSICAL For ages 5-7 and ARMADA AHOY! For ages 8-11. 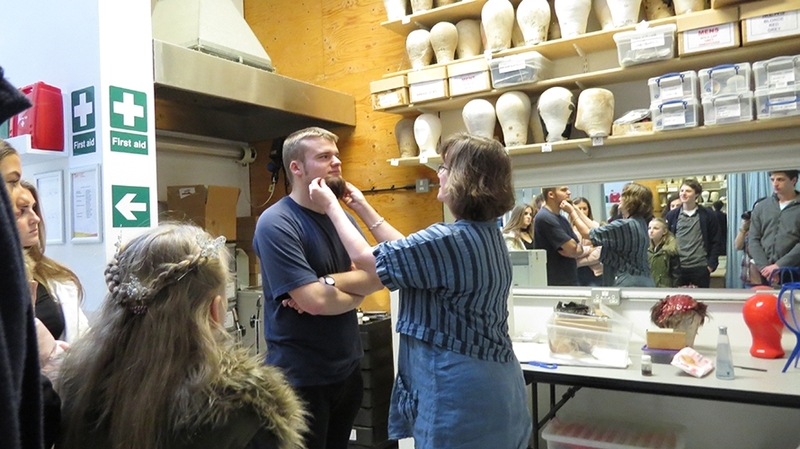 RADA will be visiting us this month to hold a Technical Taster workshop for young people aged 16 – 20. This session is designed to give young people the chance to find out about RADA’s Technical Theatre and Stage Management course at RADA. More info can be found here. During Easter we will be hosting our first short play festival in the Lab.PlayLAB will feature performances from the Young Company, People’s Company and Our Space. 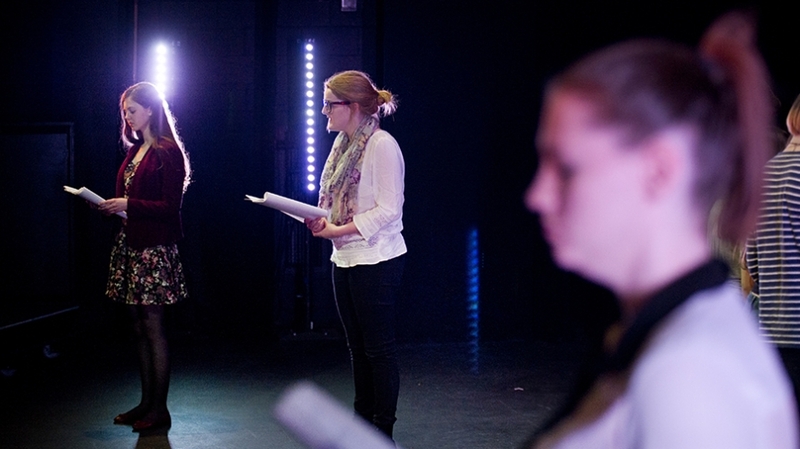 There’s still time to audition for the Young Company short play – apply here!